The latest update on the Dragon Age: Inquisition website offers an excerpt from a speech from Lord Seeker Alderai to students of Therinfal Redoubt. You can read the full excerpt here where Alderai explains to his students why they train in a remote castle in the wilderness, instead of seeking out the corruption among the masses. You can see images from Therinfal Redoubt in the gallery below. 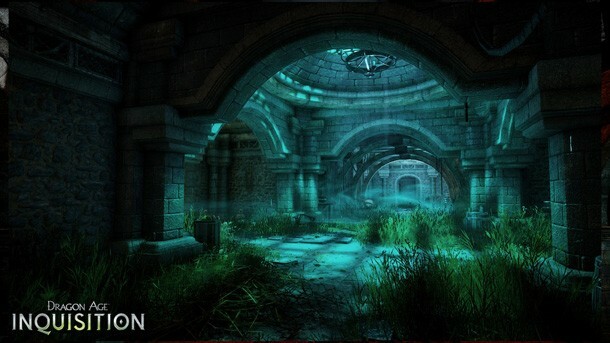 For more on Dragon Age: Inquisition, head here to see a breakdown of the game's latest trailer, and here for some screens and details on Winter Palace in Halamshiral. Dragon Age: Inquisition is coming to Xbox One, PlayStation 4, PlayStation 3, Xbox 360, and PC on October 7. Click the banner below for our month of coverage from when the game was on the cover of our magazine.